Guardium makes technology for provides real-time monitoring of database activity, allowing companies to detect fraud, outside attacks and other illegal activities. The privately held Waltham, Massachusetts, company has about 150 employees and 400 customers, according to CEO Ram Metser. 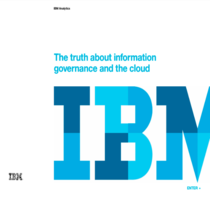 Its products will be rolled into IBM’s sprawling Information on Demand product portfolio. Currently, Guardium’s software supports a wide range of database platforms and IBM has no plans to change that, given the heterogenous nature of its customers’ IT environments, according to Arvind Krishna, general manager in the IBM Information Management division. “We have to be able to support them, and only expect to add [more platform support] over time,” Krishna said during a conference call. Such a roll up could “spell great news in the coming years, in the form of increased quality, better-integrated server agents and one-stop shopping — not to mention the rapidly increasing possibility to think of database vendors as being part of the solution when firms move to establish enterprise-wide data security (or anti-data-loss) programs,” said Nick Selby, managing director of security consultancy Trident Risk Management. How viable is your vendor?